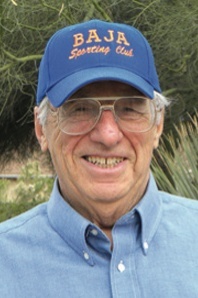 Pima County Natural Resources, Parks and Recreation is seeking nominations from throughout the county for the Chuck Catino Community Leadership Award, named for the longtime volunteer and founder of the Born Again Jocks Association (BAJA) Club and the driver behind Canoa Preserve Park, where the softball complex is named in his honor. Nominations will be accepted until Jan. 13; the Parks and Recreation Commission will consider nominations and vote at its Feb. 10 meeting. See the nomination form here. Nominees must be 55 years of age or older and have a strong record of volunteerism. See the award criteria here. Weldon (Jim) Brewer, president of Green Valley’s BAJA Sporting Club, was the first recipient of the award, which was presented at the March 15 Board of Supervisors meeting. The award will be presented at a March 2017 Board of Supervisors meeting.